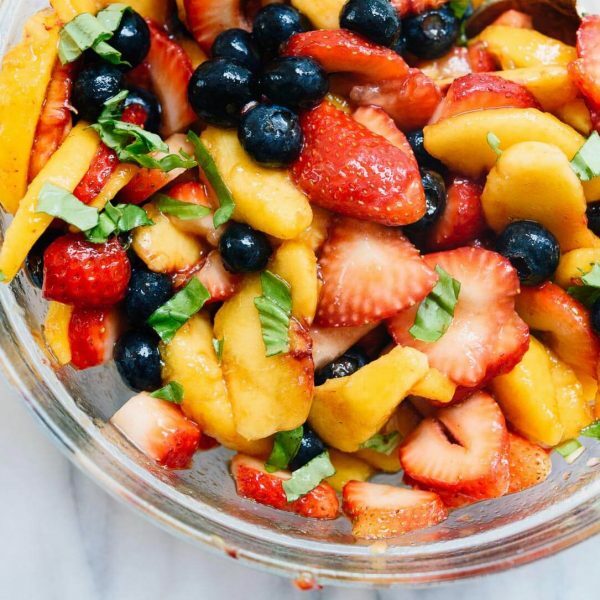 In a medium serving bowl combine strawberries, blueberries, peaches, and mint. In a separate bowl combine honey, bianco balsamic, and lemon juice. Drizzle on top of fruit and serve!